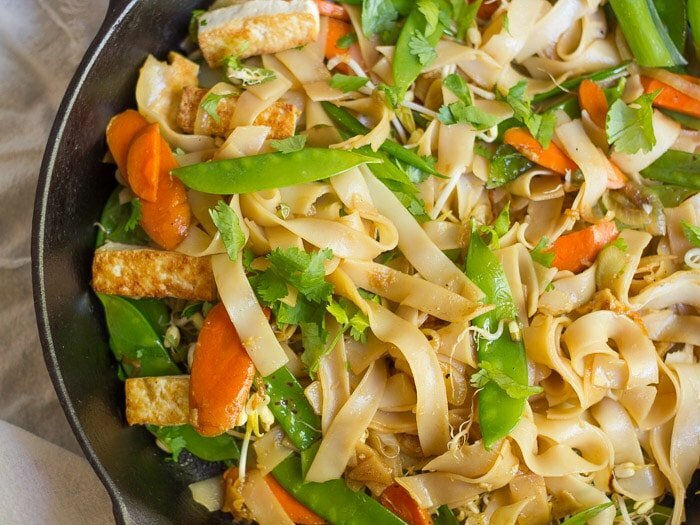 Satisfy your takeout cravings, with this tofu chow fun, made with crispy tofu, stir-fried veggies and noodles tossed in garlicky soy sauce and served with a sprinkling of fresh cilantro! 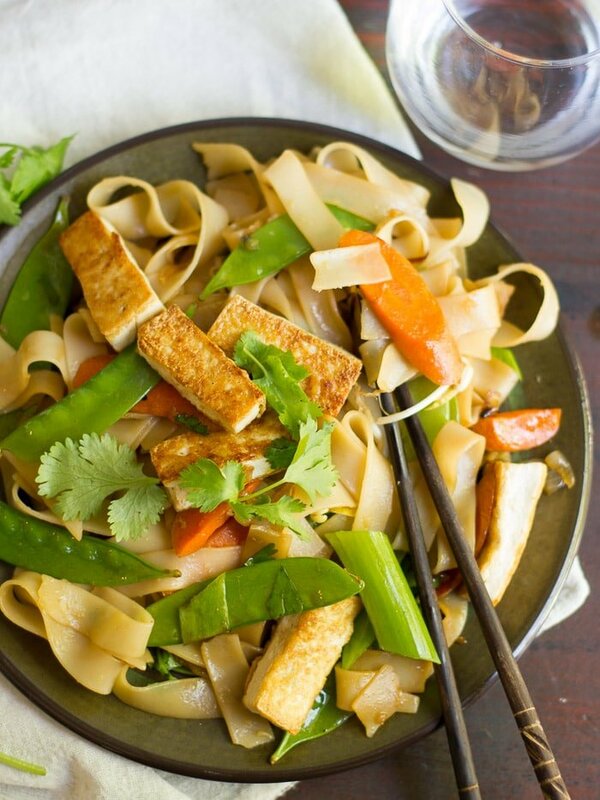 Back in the days when I was able to get Vietnamese takeout on a semi-regular basis, tofu chow fun was my dish. Not that I’m not always up for a bowl of veggie pho, but meatless chow fun seems a bit easier to come by, so it became my go-to meal. Most people reading this probably know chow fun from Chinese dining. I’ve never actually had the Chinese version of the dish, but I think the main difference is the cilantro. So if you want something with more of a Chinese feel, skip the cilantro, but I’m warning you now that the cilantro is a delicious addition, so you probably don’t want to do that. So, about this dish! Even though it was a favorite, it took me forever to create my own version. For one thing, I looked into it a while back and discovered that most recipes call for waaaaay more oil than I was willing to cook with. No wonder it was so good. The other thing is the noodles. The tofu chow fun I used to order was made with big fat noodles. Like, the widest noodles I’ve ever seen. I can’t seem to find them anywhere, and I’m a frequent Asian market shopper. Finally, I gave in and decided to take a crack at the dish (1) with what I consider to be a reasonable amount of oil. Stir-frying in a few tablespoons of oil is plenty for me, thank you very much. And (2) with wide but not that wide noodles. I took my first bite and wouldn’t you know it, I was taken right back to my favorite Vietnamese restaurant. Success! Bring a large pot of water to a boil and add rice noodles. Cook according to package directions, then drain into a colander and rinse thoroughly with cold water. Set aside. Stir soy sauce, vinegar, maple syrup or agave, garlic, ginger, and white pepper, if using, together in a small bowl. Cut the tofu into short strips, about 1 inch long and 1/2 inch thick. Coat the bottom of a large nonstick skillet with sesame oil and place over medium heat. When oil is hot, add tofu to skillet in an even layer. 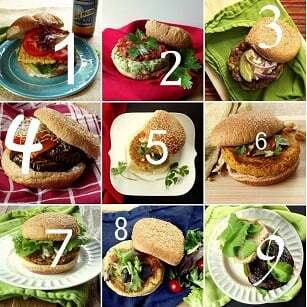 Cook for about 10 to 12 minutes, flipping once or twice, until tofu is browned on multiple sides. Remove from skillet and transfer to a paper towel-lined plate. Add vegetable oil to the skillet and raise the heat to medium-high. When oil is hot, ad onion and sauté until softened and lightly browned, about 3 minutes. Raise heat to high and add carrots. Stir-fry for about 3 minutes, until carrots begin to brighten in color a bit. Add snow peas and continue to stir fry until carrots and snow peas are tender-crisp, about 3 minutes more. Add noodles, soy sauce mixture, scallions and tofu to the skillet. Gently toss to coat noodles and veggies in the sauce. Cook just until noodles are heated throughout, about 1 minute. Remove from heat, add bean sprouts and cilantro, and toss a few more times to incorporate. Divide onto plates and serve. Sprinkle with additional bean sprouts and cilantro, if desired. When do you put the tofu back with the rest of the ingredients? Is it heated again? This was the first CV recipe I’ve made and it was fantastic. It passed my partner’s two new-recipe tests: it felt, to her, like she was eating good restaurant quality food and she went for seconds. Glad you both enjoyed it! 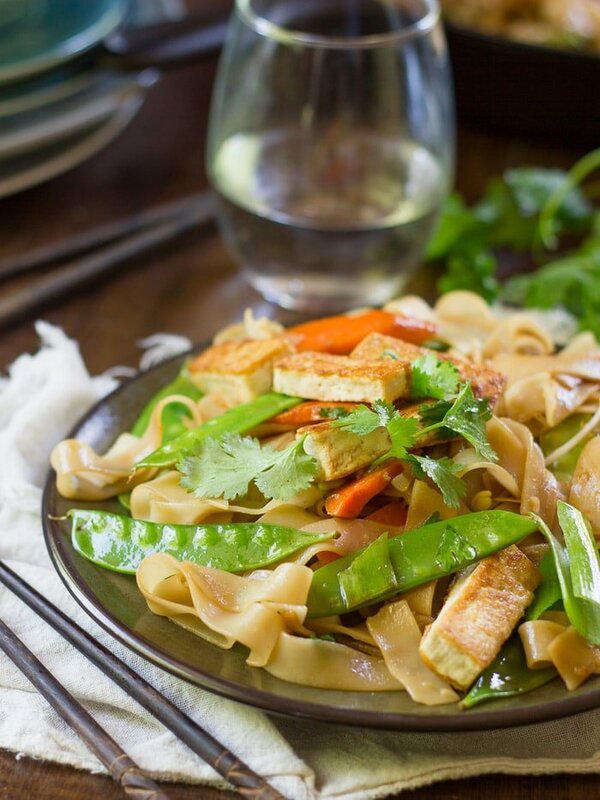 And I totally encourage swapping out veggies in this one – stir fries are the best for that. :) Thanks so much Kristen! I haven’t had chow fun since I’ve been vegan. I made this tonight and it was so good! Yay!! I’m so glad you enjoyed it! Thanks Lillian!